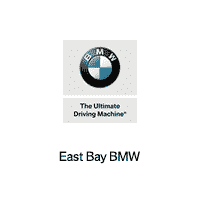 East Bay BMW provides complimentary alternative transportation for vehicles under BMW Manufacturers Warranty or if Due Bill work is being performed. We understand that being without your vehicle can be an inconvenience. You will qualify for a Loaner Car while your vehicle is either, covered by the BMW Manufacturer original warranty, covered by the Certified Pre-Owned (CPO) warranty from East Bay BMW, or having Due Bill work performed. We provide Loaner Cars on a first come first serve basis; all others by a rental agency. For minor maintenance issues, such as oil change, we ask that our clients wait in our comfortable customer lounge. We also offer Free shuttle service to clients within the surrounding Tri-Valley Area. The shuttle operates Monday-Saturday throughout the day. Due to insurance regulations, the driver of any Loaner Car must be 21 years old. The driver must present a valid drivers license, credit card, and proof of insurance before operating a Loaner Car. All traffic, parking tickets, bridge and road tolls are the responsibility of the driver of the Loaner Car. A usage fee of $100.00 per day will be charged to the driver who fails to return the Loaner Car on the repair completed day or agreed upon day. Mileage is restricted to 100 miles per day – A mileage fee of $0.50 per mile will be charged to any driver who exceeds the daily mileage allowance. All Loaner Cars are NON-SMOKING vehicles – A detail fee of $199.00 will be charged to the driver who smokes in any Loaner Car. Pets are not permitted in Loaner Cars. – A detail fee of $199.00 will be charged to the driver who transports their pet.